There’s a reason they call Kenny Bolin the Starmaker. For nearly a decade, Kenny Bolin sent more men from Louisville’s Ohio Valley Wrestling to the WWE than anyone. Bolin had a hand in making the careers of John Cena, Rico Costantino, Rob Conway, Mark Henry, Bobby Lashley, Sean O’Haire, Lance Cade, Mark Jindrak, Mike Mondo, Carlito, Sylvester Terkay, and many more. Now, the retired manager turned media giant is telling his story. 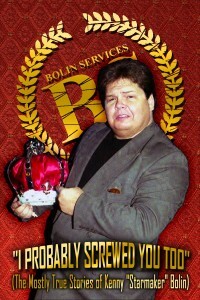 One of the sharpest minds in the history of wrestling, Kenny Bolin’s story has become the stuff of legend. 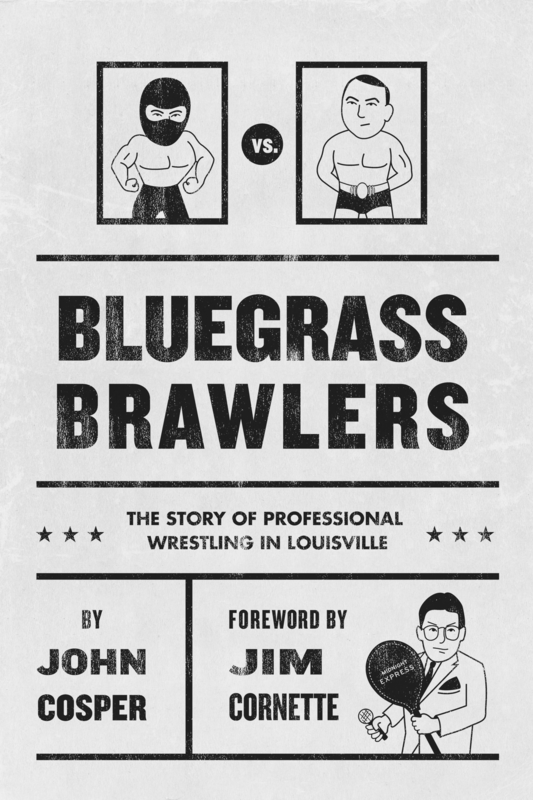 From his humble beginnings as the son of Kentucky’s last convicted cattle rustler; to his childhood friendship with the nefarious Jim Cornette; to the many schemes he allegedly perpetrated on the American public; to a chance meeting with Nick Gulas at Service Merchandise; you’ll read how this humble Kentucky wrestling fan stubbornly refused to pay his dues and waited for the moment when the wrestling gods wised up and gave him what was coming to him. The tale of Kenny Bolin is so outlandish, so outrageous at times, you’ll swear it can’t possibly true – and some of it isn’t. Thankfully, Kenny conned a few of his close, personal friends to come along for the ride to help you sort fact from fiction, including Mark Cuban, Jerry Lawler, Jerry Jarrett, Dutch Mantell, Rico Costantino, “The Sinister Minister” James Mitchell, Terry “Garvin” Simms, Dean Hill, Nova, JBL, Mark Henry, Damien Sandow, Sylvester Teraky, Bill Apter, and even Jim Cornette. 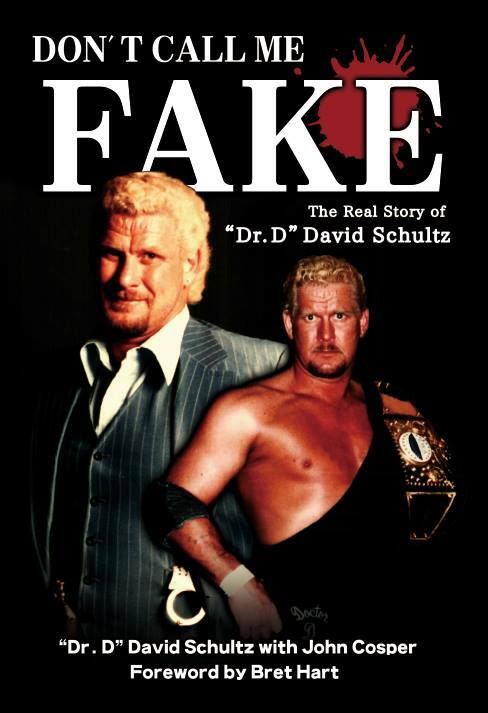 This book may not be the most truthful book you’ll ever read, but it is the most entertaining and funny wrestling memoir you’ll read this week. So grab a chair, pop on a pair of Beets by Bolin headphones, and prepare to shake your head in disbelief as you read the (mostly) true stories of Kenny Starmaker Bolin. Their signs hang in the windows of convenience stores, gas stations, and restaurants. They work out of high school gyms, warehouses, and roller rinks. They are professional wrestlers, and they want you to experience live wrestling this weekend. The old territories are long gone, replaced by the monolithic WWE, but indie wrestling continues to thrill fans who know that nothing can replace the live experience. This is the story of the men and women who make up today’s independent wrestling scene. They are top prospects like Jamin Olivencia and Adam Cole; deadly beauties like Crazy Mary Dobson (NXT’s Sarah Logan!) and LuFisto; wily promoters like Mike Quackenbush and DJ Hyde; entrepreneurs like Colt Cabana; and battle-hardened veterans like Mad Man Pondo. 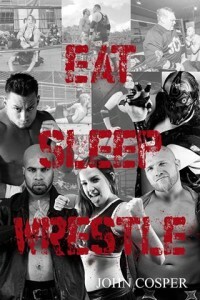 Eat Sleep Wrestle is a snapshot of independent wrestling from the fall of 2014. It will take you on the road and inside the ring for a peek into the lives of today’s dreamers and tomorrow’s superstars. From their humble beginnings, to life on the road, to their moments at the top, these stories will inspire you in the pursuit your own dreams and make you look twice the next time you see a flier in the window for some rasslin’. Read the first chapter here on the blog. Compiled from a 1947 California wrestling program found among “The Black Panther” Jim Mitchell’s memorabilia, this amazing collection of Christmas greetings features stars like Gorgeous George, Enrique Torres, Jan Blears, Yvon Robert, the Duseks, and Ed “Strangler” Lewis. 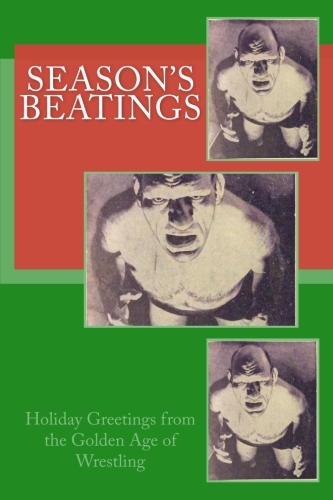 The book also features the French Angel Maurice Tillet on the cover – because what’s a Christmas book without an angel? 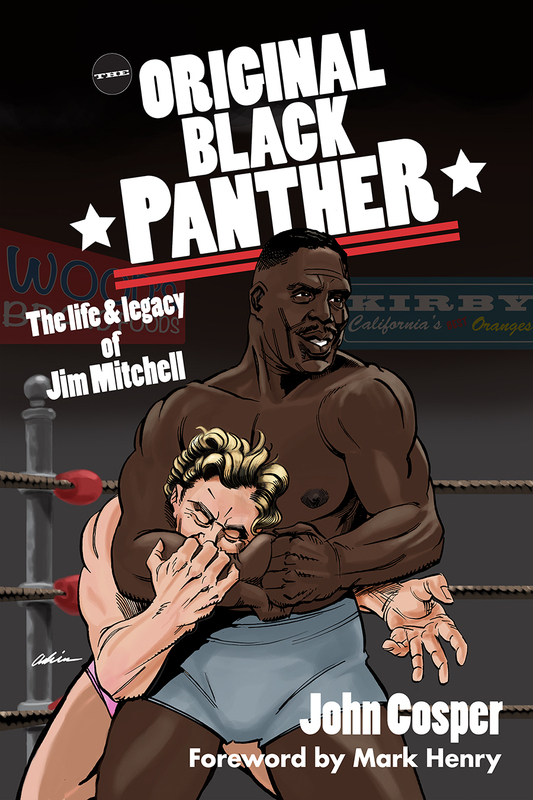 If you’ve got a wrestling fan on your shopping list, especially one with a love of the golden age, this is a must-have gift! 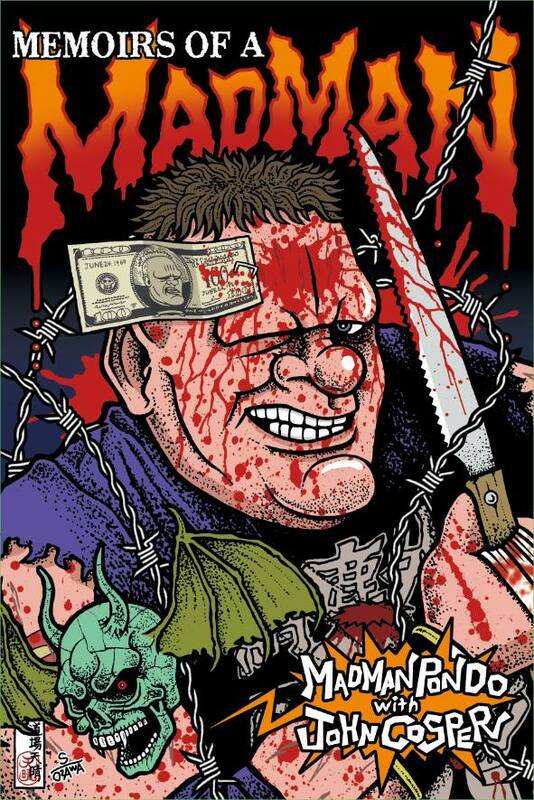 It’s the perfect gift for those who prefer headlocks and body slams to visions of sugar plums. What’s it like being on the road with a professional wrestler? It means travel, excitement, and… naps? 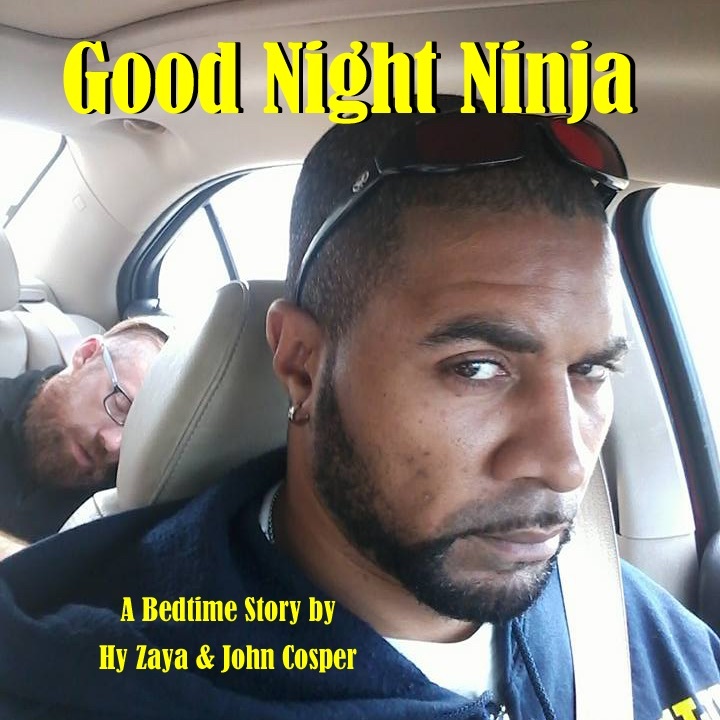 Come along as “The Hood Ninja” Hy Zaya, professional wrestler, shares some of his favorite stories of those hard working and hard napping wrestlers he calls his friends. 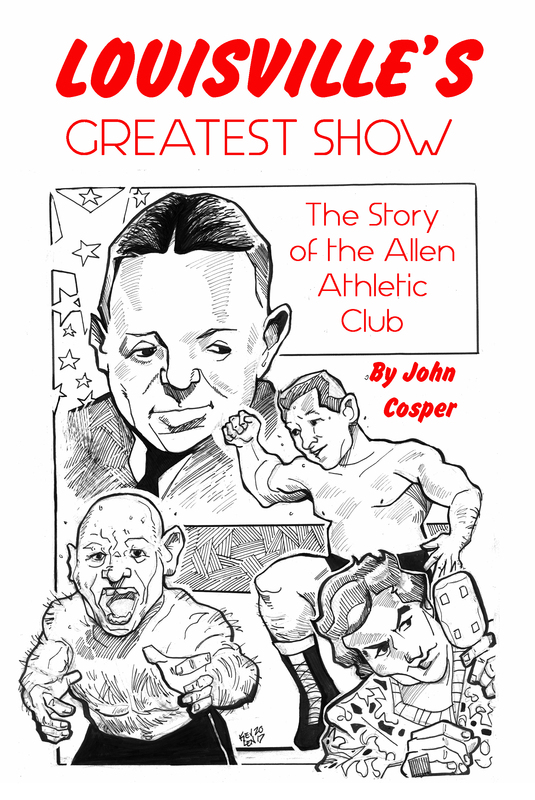 A fun bedtime tale for big and little wrestling fans alike.